Expedited Powder Sieve Analysis Services Are Available- Contact Us Today! What Is Powder Sieve Analysis? Why Is Powder Sieve Analysis Used? What Are the Uses of Powder Sieve Analysis? What Materials Are Tested By Powder Sieve Analysis? Why Is ASTM B214 Used for Powder Sieve Analysis? How Is ASTM B214 Conducted for Powder Sieve Analysis? Powder sieve analysis separates a powdered metal sample based on particle size. ASTM B214 provides dry sieve analysis of metal powders, from 45-850µm. ASTM B214 is a method of performing particle size distribution that implements a standard procedure to ensure accurate and replicable results. Particle size distribution - also called gradation - is commonly determined for the powered metals and additive manufacturing industries. The gradation of a powder used in manufacturing will affect the mechanical properties of the final product. The gradation is also an easy way to gauge the quality and consistency of powder. The test is conducted using a mechanized sieve shaker and mesh sieves with known opening sizes. After testing is complete, the mass of powder left in each sieve is weighed. The results are presented as a mass percent due to the fact that the samples taken for particle size distribution are representative. Powder sieve analysis is a testing method designed to separate a granular material into different groups based on the sizes of the particles that comprise the sample. The results of a powder sieve analysis are dependent on the weight of powder left on each sieve upon completion of testing. Powder sieve analysis is a beneficial examination that can reveal crucial information about the properties of a powdered metal sample. Powder sieve analysis is used because it incorporates a repetitive procedure with simple equipment to provide a test for purposes of quality control in particle size distribution (gradation) of a material. Powder sieve analysis is utilized in order to evaluate the particle size distribution, or gradation, of a metal powder. This is a crucial characteristic of powdered metal materials. The gradation of a powdered metal sample aids in the analysis of the quality of said sample. The mechanized shaker ensures that each test is performed with an identical amount of perturbation over a given period of time. US standardized sieves can be combined in different ways to suit the needs of the user. In order to conduct a powder sieve analysis, ASTM B214 calls for a sample size that is dependent on the density of the powder. The majority of metal powders have a density greater than 1.5 g/cm3, and will thus require a sample of 150 g.
The sieves that contribute to the series in use are stacked with the lowest sieve number on top and the highest on the bottom, atop a collection pan. These sieve numbers correspond to the size of the mesh on the sieve. A higher sieve number indicates finer mesh, which will in turn capture finer particles. The powder sample is poured into the top sieve. Testing commences, wherein the mechanized shaker perturbs the sample for a specified amount of time. After testing is completed, the powder left in each sieve is carefully collected and weighed. 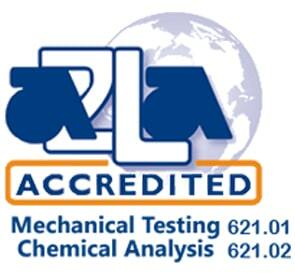 This data will be used to calculate what percentage of the metal powder each particle size range comprises. There are a variety of characteristics and properties of metal powders that are used in powder sieve analysis. Sieve analysis can be performed on a wide range of organic and nonorganic granular materials including sands, clays, coals, crushed rock, granite, soil, manufactured powders (irons, iron and copper, nickel, zinc, tin, lead), seeds, and grains. Powder sieve analysis is a beneficial examination that can reveal crucial information about the properties of a powdered metal sample. 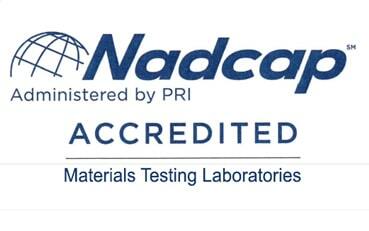 The implementation of a standardized test like ASTM B214 at the time of testing ensures a simple and replicable procedure for purposes of quality control. 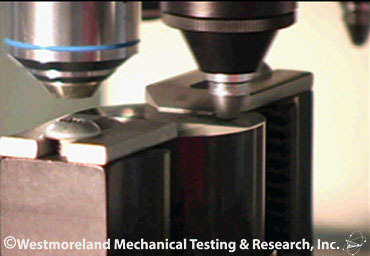 Each time the test is performed, the samples will be identically aggravated for an ideal amount of time. The motion of the mechanized sieve enables complete transfer of distinctly sized particles through the appropriate sieves. 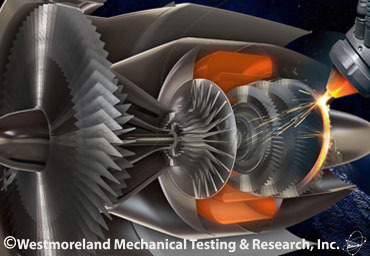 The information gained from testing to ASTM B214 provides reliable methods for quality control of the raw products that are used in the powder metals and additive manufacturing fields. 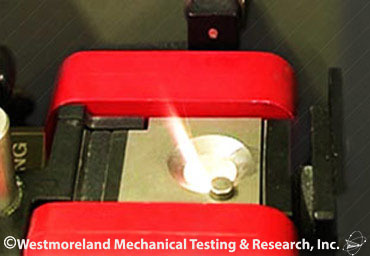 For a Complete List of Metallurgical Testing Services, Please Request A Quote or Call 724-537-3131.